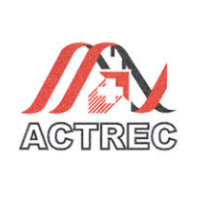 ACTREC Recruitment 2019 – Advanced Centre for Treatment, Research and Education in Cancer (ACTREC) scheduled posts of Nurse, Pharmacist, Network Technician, Technician, Purchase Officer, Assistant Medical Superintendent, Assistant Staff Physician, Medical Physicist. The detailed eligibility and application process are given below. Basic or Post Basic B.Sc. (Nursing) with two years clinical experience in minimum 50 bedded hospital. Candidates should be eligible to register with Indian Nursing Council / State Nursing Council. D. Pharm with minimum 3 years working experience in Dispensary / Pharmacy of the Hospital having minimum 200 beds. Registration with the State Pharmacy Council with duly allotted Registration Number is mandatory. H.S.C. plus Diploma in Hardware and Networking (2 years after 12th Std.) from the Government recognised institute with minimum 50% marks. Minimum 3 years of hands on work experience in configuration/troubleshooting / maintaining large IT network /infrastructure. M.B.B.S. with full time Post Graduation in Hospital Administration (M.H.A.) from a recognized University in India or abroad. Candidates should have minimum 2 years experience after Post Graduation in a reputed hospital (at least 300 beds) in a managerial capacity. Assistant Staff Physician: M.B.B.S. with minimum 3 years experience in a large general hospital providing comprehensive General Medicine Care to staff. M.Sc. (Physics) and Diploma in Radiological Physics OR Equivalent AERB approved qualifications. The selection of candidates is based on Written Examination/Skill Test/Interview. Mode of Payment: Online mode by using Debit Card / Credit Card. How to apply for ACTREC Recruitment 2019? All interested and eligible candidates can apply for this position in online latest by 30 April 2019 and send a print out of online application form along with required documents to the following postal address on or before 7 May 2019.